A field of five… an eight-race program… cancelled race cards — if you follow harness racing, you see this often. There are horse shortages and tracks requesting fewer dates each year; if you follow the Meadowlands, you know this quite well. There are a lot of harness tracks in North America, maybe that’s the problem. We all know why they exist. 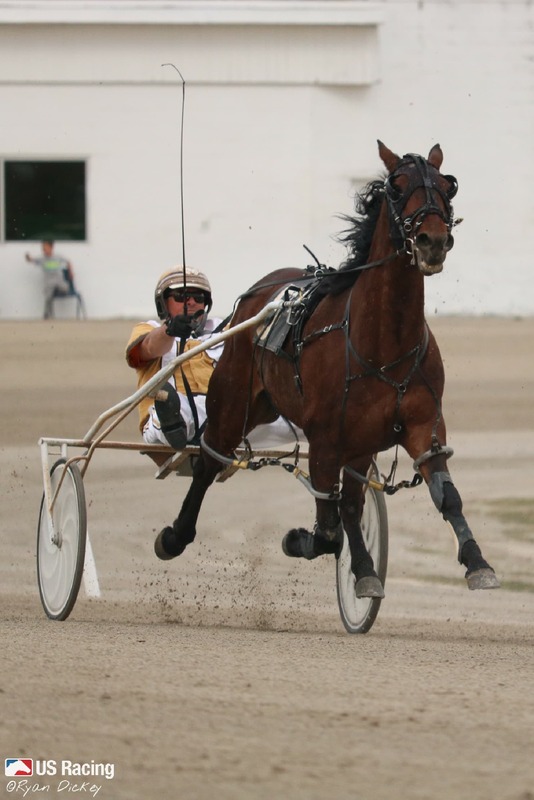 Harness racing is a sport, it’s entertaining and, most importantly, it can be gambled on. States don’t mind who wins or loses as long as the wagers and the revenues keep coming in. There are also those who make their living in harness racing. We all know about the drivers, trainers, breeders and those who work directly with the horses. Then, there are the concession workers — those that deliver products to barns, farms and facilities. There are many layers at work here. States know this and that’s why they regulate the sport. They approve dates and often have the final say when it comes to scheduling. A track just can’t do what it wants. As an example, we can cite Plainridge Park in Massachusetts. In 2016, it had 125 racing dates; for 2017, it asked for 100 and the state’s gaming commission said no. The two sides agreed on 110. The Meadowlands, citing funding issues, asked for 68 dates for 2019, only to find out that the state minimum is 76. Buffalo Raceway usually races about 90 times from January-June, but because of horse shortages (winter is always tougher), many cards were cancelled. As a result, Buffalo has asked the New York State Gaming Commission for 66 dates for 2019. Do the states love harness racing? Probably not, but they like money and so too do the accountants and actuaries who cook up budgets, numbers and formulas to make sure they can get as many dimes and quarters as possible. They know 125 racing dates is better than 110, because that’s 15 more days to collect revenue. One track that seems immune to all of this is Northfield Park, located in northeast Ohio. Unlike most tracks, this one races all year long. It asked for 221 dates in 2018 and, then, as summer was ending, asked for more to finish the year. That’s almost unheard of — and I’m sure state officials choked on their collective coffees when the request came in asking for additional days. I’m amazed at the race cards at Northfield Park. The track is a half-mile, which mostly means eight-horse fields, but that’s not the case here. Many races have nine, some even 10. In addition, there are a lot of races. While most tracks feature 10, nine or even eight races, Northfield offers 14 to 16 races nightly. On Saturday, Nov. 17, there were 16 races on the card with 137 starters. One race featured six runners, while the other 15 had at least eight. Eleven of the 16 had nine starters. The Sunday, Nov. 18 card featured 15 races and 132 horses, with a 10-horse field in race 13. How does Northfield do it? One thing that helps is where the track is located. Ohio has always been harness-racing-friendly. There are plenty of county fairs where harness racing is featured and the breeding program has always been sound. The most well-known fair, Delaware, is home to the Little Brown Jug, probably the best-known race for 3-year old pacers. Another factor is that the harness tracks don’t step on each other’s toes. Northfield is the only track that runs all year and, because of that, features lower purses than the other Ohio tracks. The others — Dayton, Miami Valley and Scioto — stagger their schedules. Miami Valley runs January to May; Scioto Downs May to September; and Dayton, September to December. Northfield has the grinders, while the rest of the horses can travel between the other three tracks. In comparison, New York has lot of overlap. Monticello and Yonkers run all year, but that’s okay because one track features lower-class horses while the other has the highest purses in the country. But, Monticello, Saratoga, Buffalo/Batavia run at least 11 months of the year and, then, come spring, Vernon and Tioga get into the act. The result can be short fields and cancelled cards. It wouldn’t hurt New York to cut some of the overlap to ensure that there are enough horses for courses. Monticello and Saratoga are close enough where one could see some type of sharing down the road. The one drawback for having so many races at Northfield Park is time. Racing begins at 6 pm and while the last scheduled race is slated for 11 pm, post delays sometimes push that close to 11:30 p.m. The Nov. 17 card was proof of this — the first race went off at 6:07 pm, the last at 11:58 p.m. Are people in the Eastern Time Zone still engaged at midnight? I’m sure the track at that time is a ghost town, but we all know that harness racing caters to those watching at home; even most OTBs are closed by then. I don’t keep stats, but perhaps somebody in California or Hawaii is watching race 16 at 9 p.m. and 7 p.m. respectively. In the end, there are more advantages. Yes, the finish time is late, but no one is required to watch all the races and, as expected, handle for the later races does drop. With nine and sometimes 10 horses in a race, the chance for some longshots increases and, in a sport where the favorites win at a 46 percent clip, that is welcome news. Northfield Park opened its doors in 1958 and offers more than 222 racing dates, an average of over four per week. The track/casino is owned by MGM Resorts, which also agreed in principle to buy Yonkers Raceway, another track that runs 12 months per year with over 230 racing dates. It will come as no shock if the two tracks do some cross-promotion in 2019.